As a librarian, I'm often asked for book suggestions. To be sure, I can usually find a book for just about anyone. So, for letter F I would share an unusual book with you. The Title? Yes, Fight Club was a book before it was a movie. Fight Club is a cult classic! An underground classic since its first publication in 1996, Fight Club is now recognized as one of the most original and provocative novels published in this decade. Chuck Palahniuk's darkly funny first novel tells the story of a godforsaken young man who discovers that his rage at living in a world filled with failure and lies cannot be pacified by an empty consumer culture. Relief for him and his disenfranchised peers comes in the form of secret after-hours boxing matches held in the basements of bars. Fight Club is the brainchild of Tyler Durden, who thinks he has found a way for himself and his friends to live beyond their confining and stultifying lives. But in Tyler's world there are no rules, no limits, no brakes. I'll be honest. I watched the movie mostly with a look of confused disgust on my face. I didn't get all the reason for the violence but I enjoyed being in the know and being able to quote classic lines as if I belonged to an elite group! Lines like: The first rule of Fight Club is: You do not talk about Fight Club. The second rule of Fight Club is: You do not talk about Fight Club. Ironically, many bookish people and librarians know this line too. Kinda makes you not want to cross that librarian on a bad day, huh? So that's only one book that starts with the letter F. Surely you can think of another? I've never seen the movie, but it doesn't surprise me that it was a book. As always, I'm sure the book was better. Rule number one for library patrons: Do not piss off the librarian. Does Ayn Rand's "The Fountainhead" count? I adored the film....then again I love anything with Brad Pitt. Good to find a post themed on movie. I am planning to put up something around movie for G and H alphabets! F is also for Flash Burnout, a YA novel by LK Madigan. Fall of Giants by Ken Follett. My all time favorite author! Holy Falucca! Or, as the ancients would have said, "Falucca, by Horus!" I never heard of Fight Club; but then, old soul that I am, I am mostly stuck in 3000 B.C. Hi Pamela .. I've heard of the film, so the book would make sense - not sure I'm keen to see it or read it .. but fighting at the library - not a good idea. Froissart's Chronicles is the book I thought of - but only because my father used to quote it occasionally ... I have never read that either! The Ken Follet - Fall of the Giants .. is a good one, and Ayn Rand's The Fountainhead - now that i have read .. I never read the book but saw the film. I liked the film version but it was strange. Maybe why I liked it. Since the post is about books I'll go nicely meta with "Fahrenheit 451"
I have seen neither the book nor the movie. Its my natural stubborn insistence against wildly aggressive things. Yet now, when a librarian tells me there is an inside librarian joke about the book, it makes me want to set all that resistance aside to check it out. I got confused for a second about the film I think called "The Fighter" that came out a couple years ago? About brothers who boxed, alcoholism, drug problems, and life in and outside of the underbelly of Lowell, Massachusetts. I wrote about writers setting their writing "F"ree. Ooh, someone beat me to "Fahrenheit 451", oh well. I've added Fight Club to my reading list and the movie has been on my to watch list for a while now. I guess I'll watch the movie first, thanks for the info. 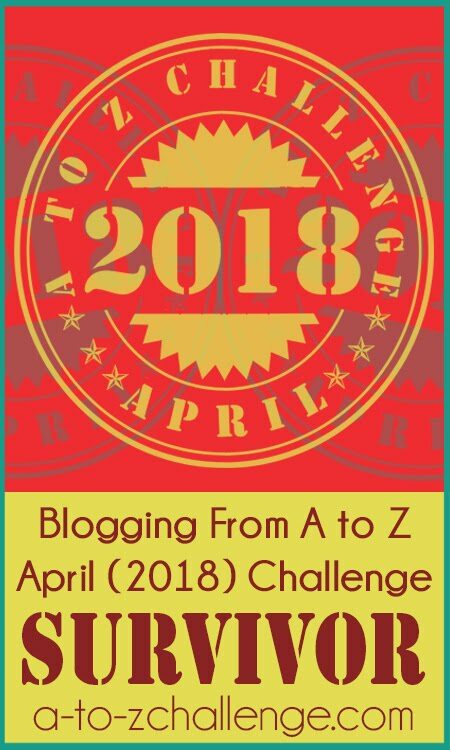 A to Z Challenge Participant LittleCely's Blog. Loved the last line of the post...cracked me up. I'm always warning my friends of the same thing :) It's too early for me to be thinking too much, so I"ll skip on the book suggestions. 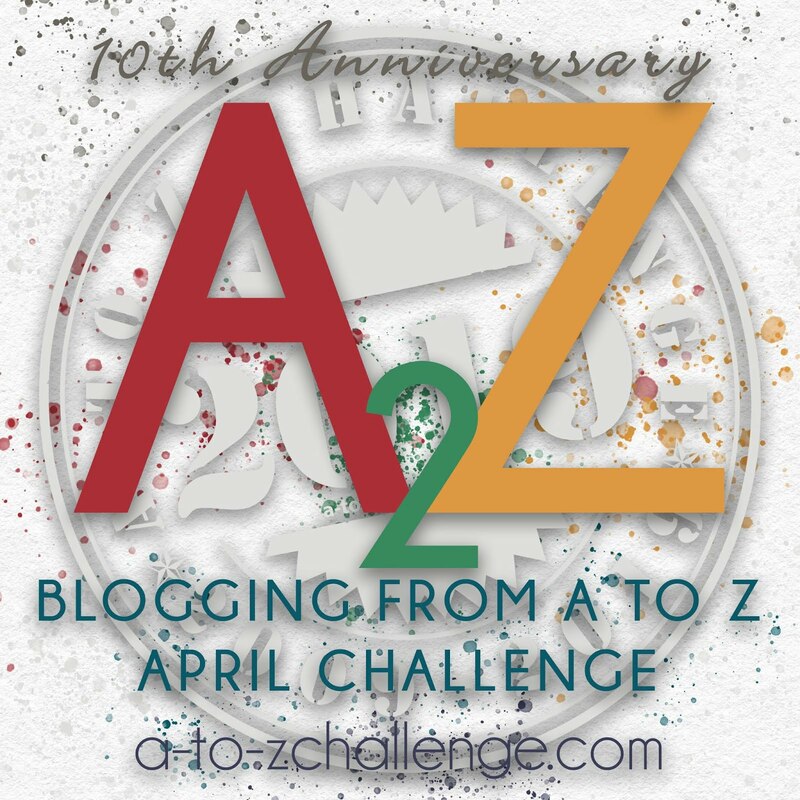 Happy second week of A to Z-ing! Neither read the book nor saw the film. May give the book a go, thanks for saying about it! I'm trying to think of F titles .. a book by Ian Pears The Fingerpost? something like that? I read it recently-ish. Ayn Rand's "The Fountainhead' - excellent. Finnegan's Wake.. no, haven't read that! James Joyce. One of my all time favorite movies! Never knew it was a book, thank you for posting and for the enlightenment! Fried Green Tomatoes at the Whistle Stop Cafe, by Fannie Flagg, a bestseller made into a hit movie several years ago. of course, I am now trying to come up with a list of F titles...will keep me busy for a day or 2! ah ha! I've heard that phrase too! what about that Zombie movie? hmmm that would be a short list for me. I'm intrigued..
i love YA. I'll hafta check it out! i have heard they are different. oh wow. then that must be hard to read current events? Froissarts Chronicles? I'm unfamiliar. Off to Google it, thanks! strange it is. sometimes strange is ok, yes? Yes The Fighter with What's his name and Marky Mark. It was good, right? no no! READ. BOOK. FIRST!! cuz i'm scared of my mum? you get a pass this month, as reading blog posts counts as READING! Have you heard of Fart Powder by Jo Nesbo? i remember Fried GreenTomatoes! And the food too. I love that movie. Brilliant. Yay! 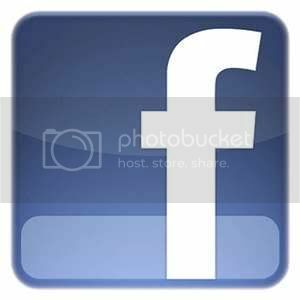 I read through all the comments and no one listed my favorite F book: Franny & Zooey by J. D. Salinger! I've yet to read the book, but saw the movie. Who doesn't love Brad?! I very much enjoyed the movie. I was unaware of the book. I do plan on reading it. Thanks! "Firestarter" by Stephen King! I have to admit, I liked the narrative part of the film Fight Club and the characterizations, but I could have done without the violence. Since I won't have to watch violence in the book, I should give it a try! Oh my gosh -- I had no idea it was a book first! Let's see...does Mrs. Frisby and the Rats of NIMH count? How 'bout Father Brown mysteries by G.K. Chesterton? Fish is Fish by Leo Lionni - a family favorite from when the kids were little. Falling by Jolene Perry. And hey, aren't you breaking the rules of Fight Club right now? I was trying to think of a book with a "F" title when I glanced upon the family read aloud that we are starting tonight, Flyte by Angie Sage. The kids really loved the first in the series, Magyk, so here's hoping the next in the series is as good. I enjoyed the film and really want to read the book, which I suspect will be even better. One of my favourite 'F' films is the dystopian novel Fahrenheit 451 by Ray Bradbury. I loved the movie, and the book has been on my TBR list for quite some time as I love that author -- although his writing is often extremely grotesque. haha, maybe that's why I haven't read it yet! My letter F book would be FEED by Mara Grant, book #1 of the NewsFlesh Trilogy. It's a zombie story that really utilizes social media, which makes the title a bit tongue-in-cheek. Plus, the main character is hooked on Coca-Cola, my drink of choice, so what's not to love??? I'm participating in AtoZ, too. See you around! 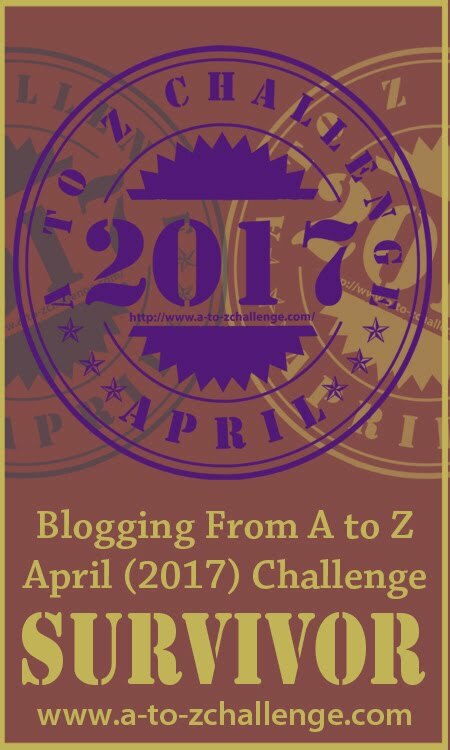 X-cessive #blogging during the #AtoZChallenge ? 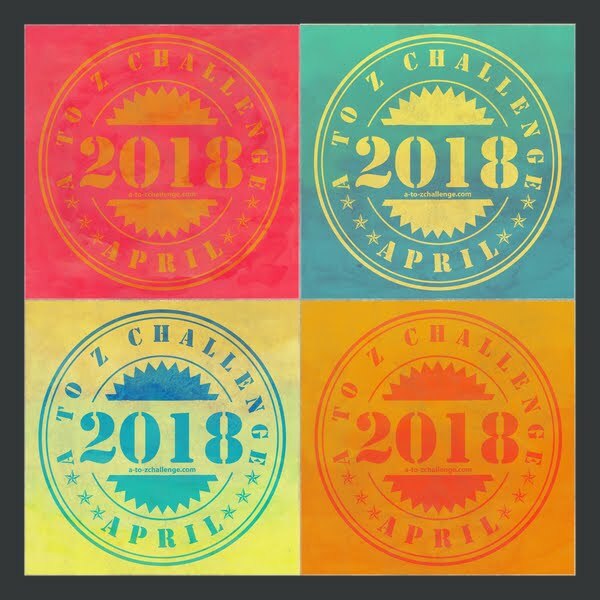 ROAR into the #atozchallenge ! 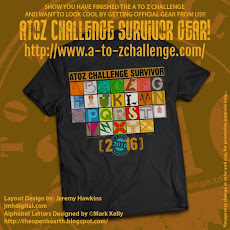 #atozchallenge - Just a little comic relief!